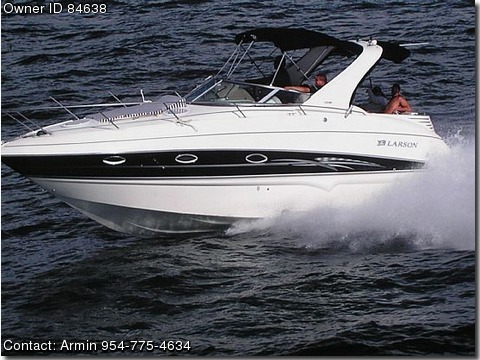 2007 Larson Cabrio 310 - Available! The one to see, also comes with ice maker, HDTV,6 fishing pole holders, ice cooler for holding fish,sirus, fish finder digital, C70 chatplatter with chip, raderdome,front deck sun pad,3 mile waste tank,inclose full cover, coffee maker, microwave, 3 under water lights,windless anchor and so much more. buy by June and get 6 months FREE dockage.